So if you remember, 20 days ago, I started a new hat to keep me occupied during a snow storm. Well guess what I’ve made next to no progress on it but for good reason. I’d like to introduce you my new sewing machine. 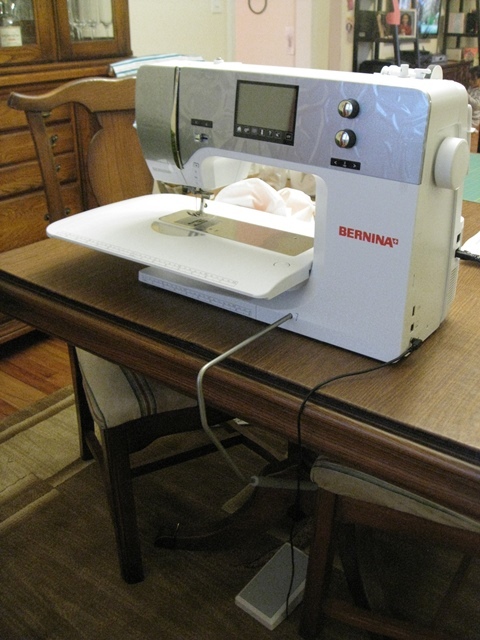 The Bernina 750 QE (Quilters Edition). You’ve all heard and used the expression that there are no words to describe a thing. Well I have no words to describe how surprised I was, excited I was/am and how unbelievable this machine is. It’s a behemoth and I’m totally in love with her!!! Ok, I can hear the question being yelled at me. Did I really need another sewing machine. Absolutely not! But am I blessed with a husband who loves to spoil me, see me smile and has always indulged my hobbies. YES!!! Am I happy? YES!!! Is it an incredible machine? YES!!! And the best part…has it made me bold, has it made me step out of the box? YES!!! Look at the size of this girl…HUGE! 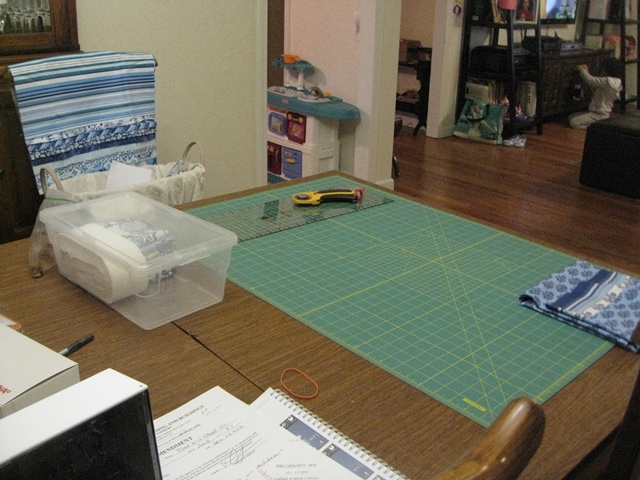 It doesn’t even fit in my sewing table. on top yes, but not inside…no matter… I still love her!!! I’ve already started a few projects. 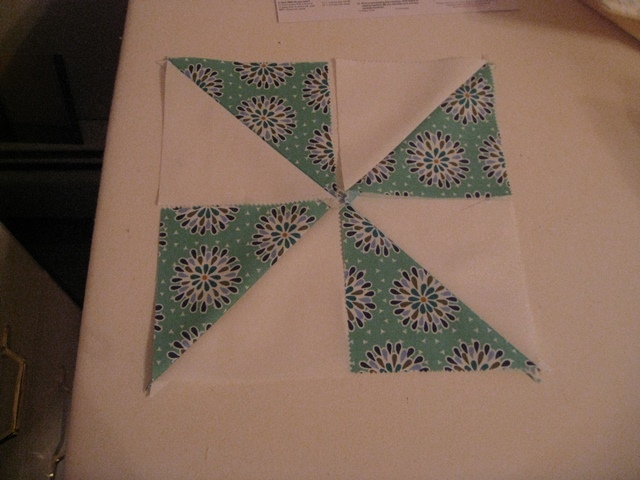 This is a start of a single Irish chain quilt for a friend. 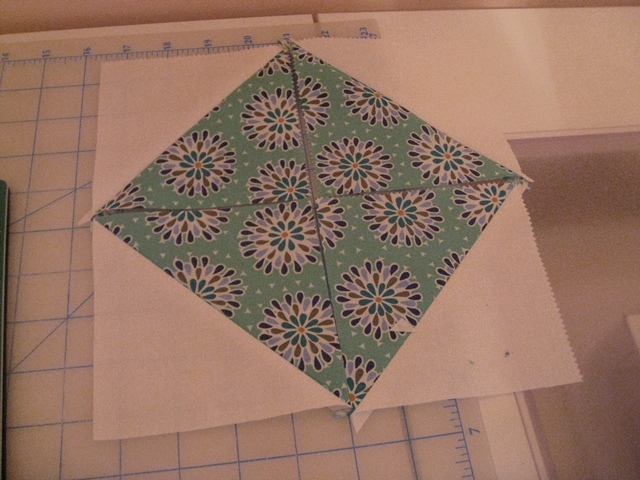 And here are some HST (half square triangles). I have no idea why I haven’t tried them before but I swear this machine has given me wings. Dramatic I know…but I’m going with it. I’m happy…very happy…and that poor hat. Going to have to wait a while. Thank you Darling…thank you so much!!! What a loving husband! Enjoy your gift. Enjoy your gift! And enjoy that wonderful husband of yours!